Every major car manufacturer now makes SUVs, from budget to flagship models, and from small to ever larger sizes. So how do you pick the best one for you? We’ve reviewed models at every end of the scale, from the cheapest SUV you can buy to a brand new range-topping model and everything in between. And watch out too – one is a Don’t Buy. SUVs can be an expensive choice, but the new Dacia Duster breaks the mould. Launching from £9,995, it’s easily the cheapest SUV on the market – yet it promises the same great space, high driving position and even a 4×4 option. Keep reading to find out whether this is a bargain or too good to be true. We’ve also had our first drive of the all-new Citroën C5 Aircross mid-size SUV, the brand’s latest flagship model. Citroën promises supreme comfort and stylish design, both inside and out. We see whether this is the ideal SUV for day-to-day driving. If you want a beefy SUV but you’re worried about emissions, Honda promises the ideal solution: the Honda CR-V Hybrid. Our experts took it for a spin at launch – find out what they think of it. Are you bored of the increasingly sophisticated looks of SUVs? The all-new Suzuki Jimney could be just the ticket, with unique but traditional, rugged looks and compact, urban appeal. We see whether this SUV is the real deal. If you fancy yourself in a stylish, upmarket MPV, rather than an SUV, then find out whether the newly facelifted BMW 2 Series Active Tourer is for you. Want to jump straight to our recommendations? See our top cars to buy now. 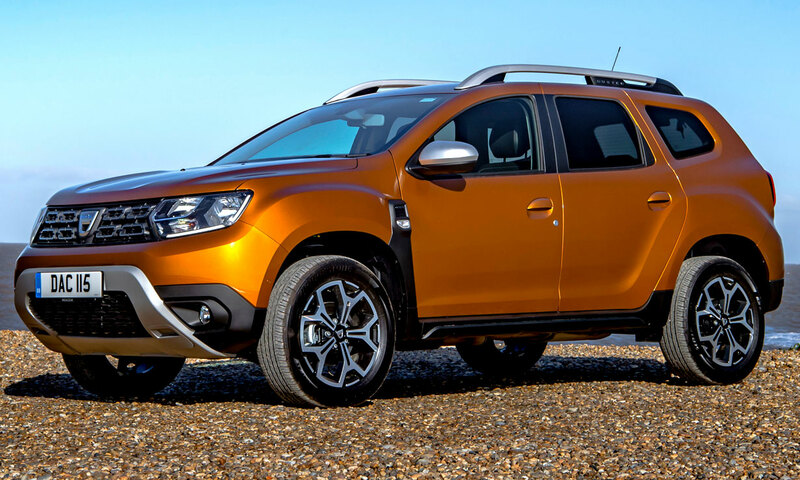 Now in its second generation, the Dacia Duster aims to provide practicality and rugged styling at an affordable price. At the moment Dacia gives you a choice of just one petrol and one diesel engine (SCe 115 and dCi 115) and both come with manual transmission. You can also get the petrol version as an all-wheel drive version. From March, you can expect to see two new engines on the forecourt – both turbocharged, direct injection petrols, available in 130hp and 150hp. Be prepared to dip deeper into your pocket, though, as prices start from £14,395. Basic trim. As you’d expect, this trim level offers very little – including steel wheels and plain black bumpers. But you do get LED daytime running lights and electric front windows. Essential trim adds creature comforts, including air conditioning, an adjustable driver’s seat, DAB radio and Bluetooth. Comfort and Prestige. The next two trim levels pack the budget car with tech, including a touchscreen multimedia system with a sat nav, and even a leather steering wheel. However, there’s a catch. Safety equipment is lacking, with no autonomous emergency braking or lane-assist system and an inadequate number of airbags. The Dacia Duster therefore only scored three stars out of five in Euro NCAP crash tests. We don’t believe you should compromise on your safety even when you’re on a budget – we’ve given it a Don’t Buy. Find out more about this car’s handling and performance in our Dacia Duster review. SUV marketing can be odd, with many promoting their off-road credentials (despite lots or owners simply using them for the school run). Not so with the C5 Aircross. 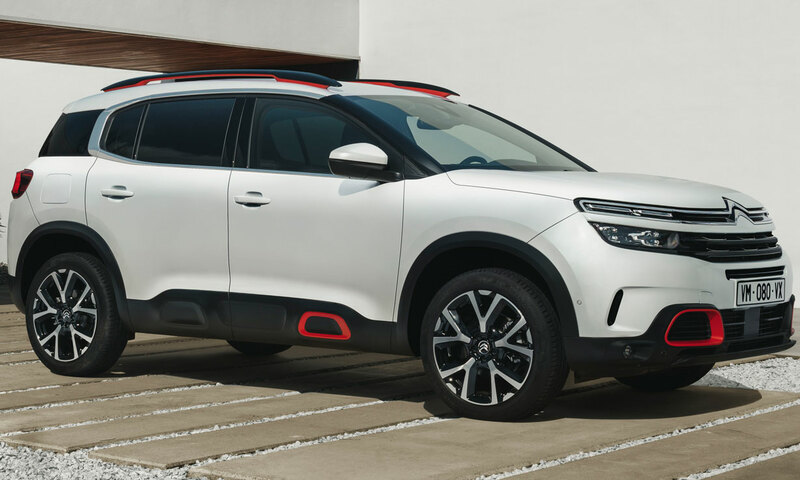 Citroën instead focuses on comfort, aiming for the C5 Aircross to be the ideal easy-to-live-with and practical family car. It’s also the highest-riding model from the French brand, offering a confident driving position. It’s a five-seater, like rivals the Peugeot 3008, Seat Ateca and Nissan Qashqai. But Citroën differentiates itself by giving you plenty of personalisation options. This includes seven body colours, three colour packs and the option of a black roof – 30 colour combinations for the exterior in total to get that unique look. Petrol and diesel engines range from 130hp to 180hp, and all except the entry-level petrol come with automatic transmission. There are innovative features on offer as well, including ‘hydraulic cushions’ in the suspension, promising an incredibly smooth ride regardless of potholes. Sound like the perfect car for you? See what our experts thought when they took it out for a drive in our first look Citroën C5 Aircross review. 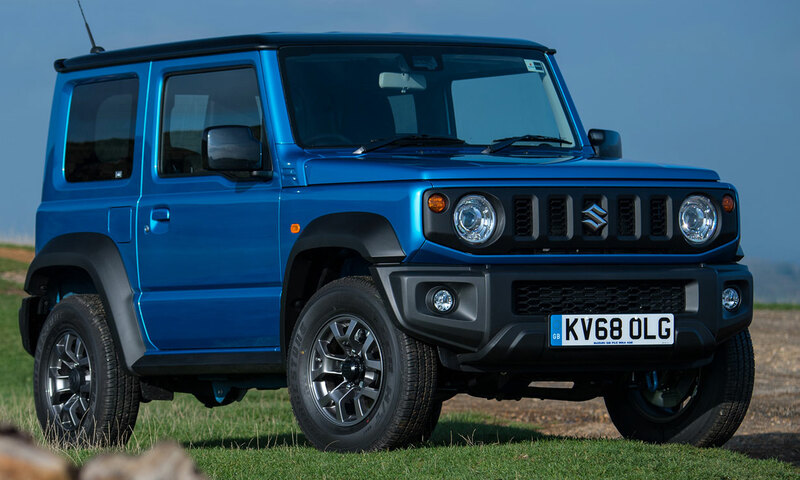 Those yearning for the proper, offroad SUVs of yore in a compact shape have been waiting a long time for the all-new Suzuki Jimny – the previous model lasted more than 20 years. There’s very little like it. It comes with an uncompromising off-road type 4×4 system, with a choice for five-speed manual and four-speed automatic transmission, and a uniquely traditional, miniature offroad look. Yet it’s a superb value, tiny car. The latest generation is even 30mm shorter and 20mm taller than the previous generation – the exact opposite to the way many next-generation cars are heading. Suzuki‘s grown the engine from 1.3 to 1.5 litres, and it still comes with its hallmark naturally aspirated petrol engine, rejecting the turbocharged engines of rivals. On sale in the UK from January 2019, two trim levels are offered. Even the lower SZ4 trim gives you air conditioning, a CD player, Bluetooth and cruise control. There is an issue you need to know about, though. The Jimny only scored three stars out of five in Euro NCAP’s crash tests, with the safety organisation describing it as ‘disappointing’. Any car that scores three stars or less is automatically a Which? Don’t Buy, as we don’t think car manufacturers should compromise on your safety. A new Suzuki Jimny launch is a rare thing. Could this be the distinctive SUV you’ve been waiting for? Our experts took it for a spin in our first drive Suzuki Jimny review. If you’re concerned about car emissions, Honda aims to provide the answer with its long-running, popular CR-V SUV. It’s ditched the diesel engine option, instead giving you its first ever Honda CR-V Hybrid. But is it really as great to drive as a standard petrol or diesel car? Honda has put a lot of effort into trying to solve the common criticism of hybrids, that they often simply don’t drive as well as their petrol and diesel variants. If Honda has cracked the challenge, the claimed strong fuel economy figures could seal the deal. 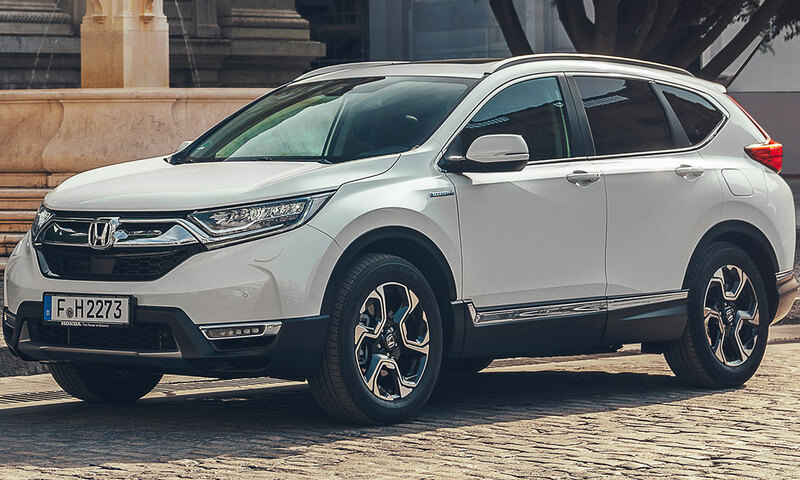 The hybrid version is expected in showrooms from February 2019 – see whether your ideal car could be just around the corner in our first drive Honda CR-V Hybrid review. The 2 Series Active Tourer is BMW’s first MPV, aiming to offer an alternative to those tired with the trend for SUVs. It comes with a premium cabin offering plenty of space for five people and their luggage. Originally launched in 2014, a 2018 update has modified the exterior styling, including larger air intakes and a subtly more prominent grille. In fact, it’s not really a BMW 2 Series at all, but based on a stretched Mini platform and sharing Mini’s strong line-up of petrol and diesel engine options. BMW purists will dismay at the Active Tourer’s front-wheel drive, although you can choose four-wheel drive on select models. Some models have optional automatic transmission, too. More importantly, the 2018 mid-life update has brought the car in line with the latest emissions standards. 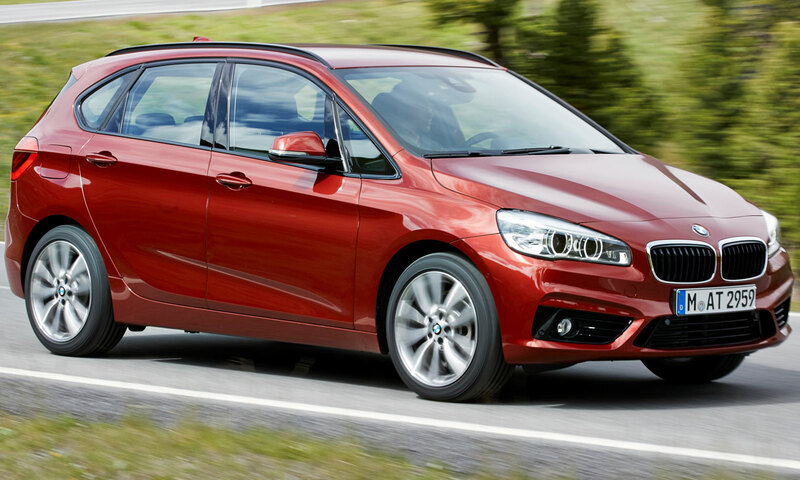 Find out how the new engines performed in our comprehensive BMW 2 Series Active Tourer review. 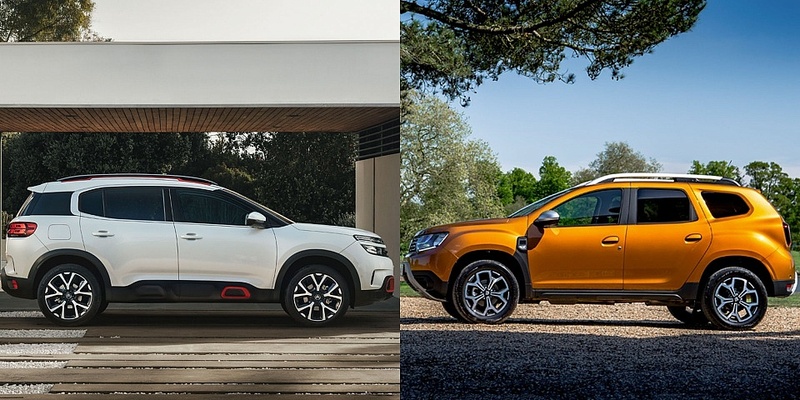 Looking for the ideal SUV or crossover for urban driving? Our experts select the very best. On the hunt for a large SUV? We reveal the best models on the market. Want to learn more about hybrid cars and which are the best? See our expert guide.